Those are words LGBT advocate Cyd Zeigler and his husband exchange each day. Part affirmation and part words of gratitude, Zeigler’s words electrified the audience of student-athletes, coaches, advocates, and educators. 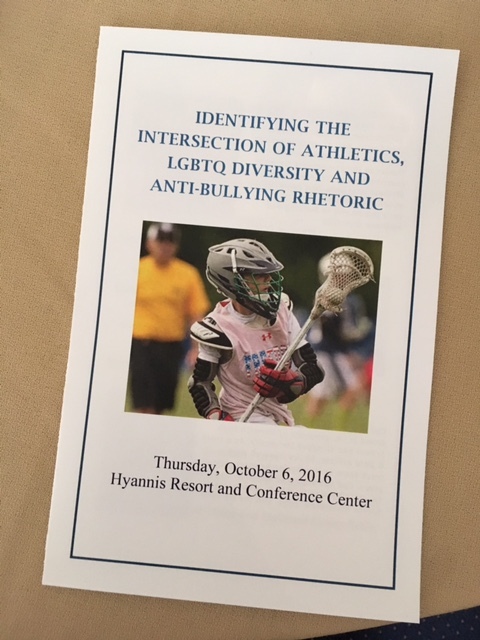 We had gathered in Hyannis, MA for a summit to discuss the intersection of student athletes, LGBTQ diversity, and anti-bullying. 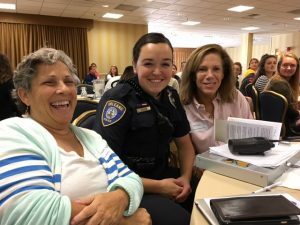 I was thrilled to meet Cyd Zeigler! 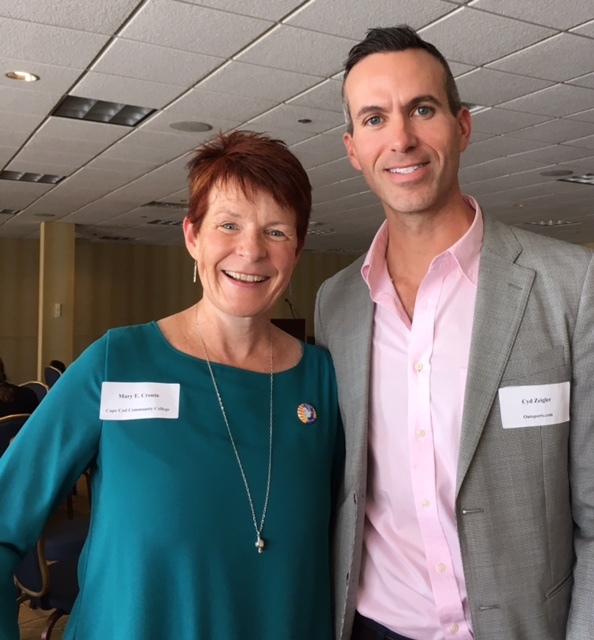 Zeigler had returned to his native Cape Cod to share his own story: teased for being gay years before he came to the realization himself, Zeigler didn’t come out until well after his high school years. 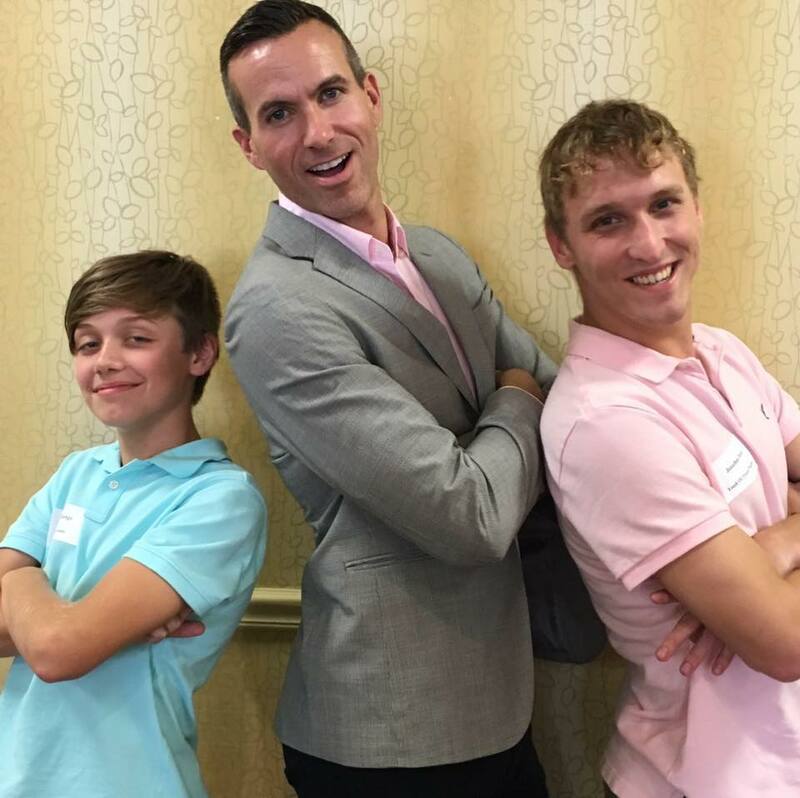 A lifelong athlete, Zeigler recognized after he came out that there wasn’t much overlap between the realm of sports fans/athletes and the gay community. He set out to do something about it by co-founding OutSports.com. You can read more about OutSports here. 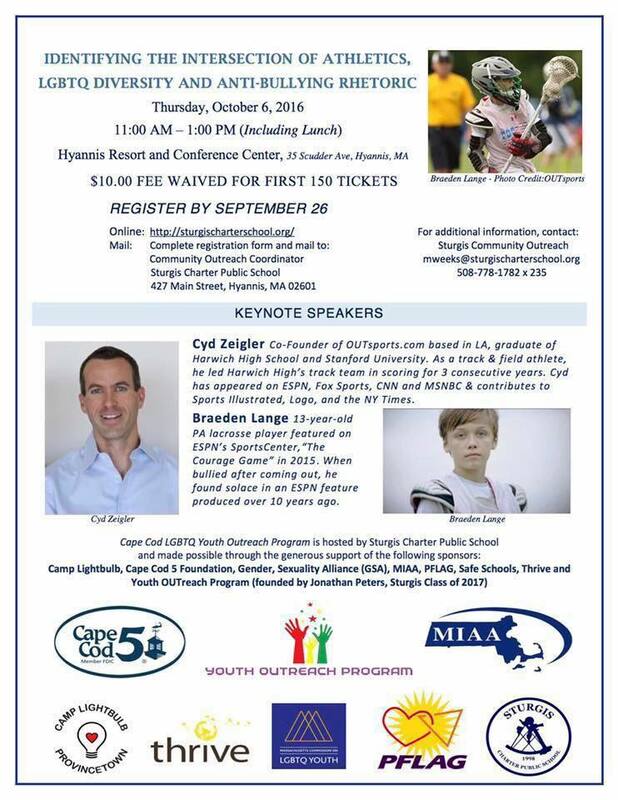 Student-athlete Braeden Lange also presented. 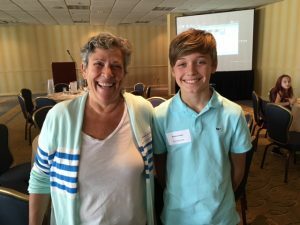 Imagine a thirteen-year-old boy holding a conference room in thrall with his positive message and poised responses to questions. A lacrosse player, Braeden spoke about coming out as a sixth grader, how ostracized he felt, and how connecting to Andrew Goldstein, a well-known gay lacrosse athlete who is out, saved his life and gave him hope. 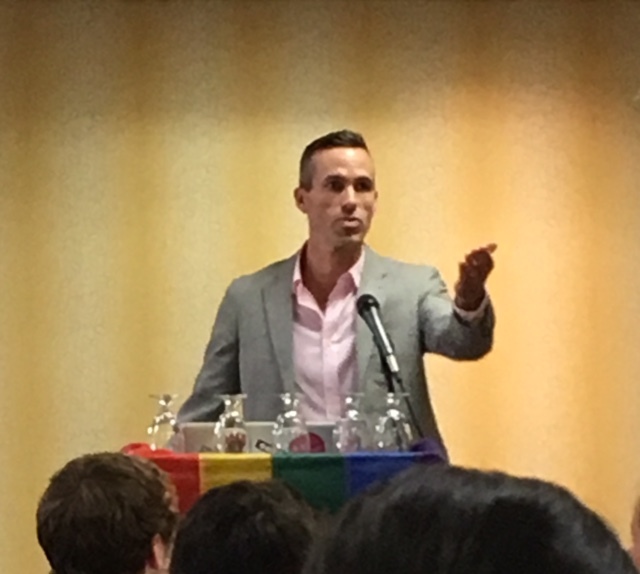 Braeden shared that those connections are what keep young LGBTQ students from feelings of despair and isolation. This is one of the goals of the short documentary about him and Andrew, The Courage Game, that was shown at the conference. You can view the ESPN feature here. (13 min.) It’s amazing! Zeigler also emphasized the power of connection and coming out: he often hears from athletes who are deeply fearful of being ridiculed and ostracized by their teams. Often it is the opposite that happens, Zeigler recounted: athletes feel the support of teammates and coaches, and the liberation of no longer harboring a secret. From the Nauset district: school counselor, school safety officer, and health teacher in attendance! 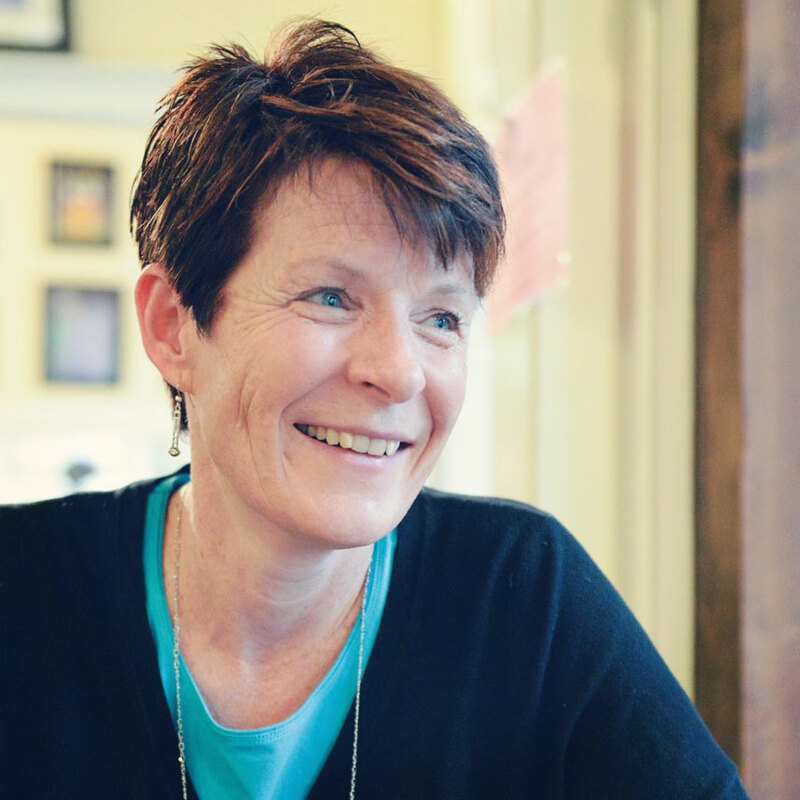 State Representative Sarah Peake spoke about her own coming out process, her memories of being a student-athlete, and her appreciation for the positive messages of Zeigler and young Braeden. That’s exactly what happened in that conference room. The world was invited in. 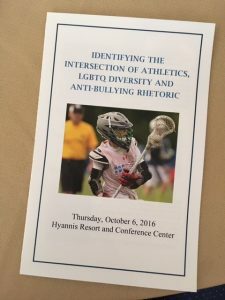 Student athletes, advocates, principals, coaches, educators, and allies came together. The power of connection was affirmed. And everyone left that room feeling a little braver, more connected, and optimistic about the intersection of LGBTQ diversity and sports. Here is one book for teens that was recommended by a friend, featuring a gay athlete main character. It’s TRUE LETTERS FROM A FICTIONAL LIFE by Kenneth Logan. I’d love to hear more recommendations for middle grade and young adult books featuring LGBTQ-athlete characters!